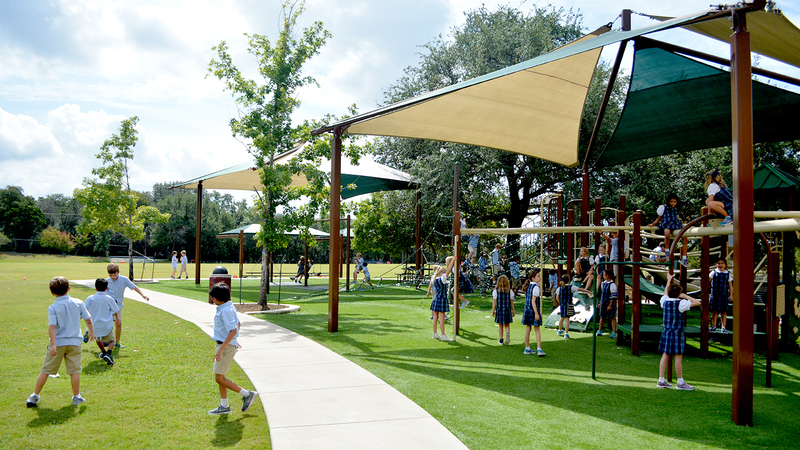 Trinity Episcopal School is located on 21 wooded acres in Westlake Hills, just 5 miles from downtown Austin. Our Lower School academic buildings include a library, science labs, welcoming classrooms, and an engaging common space. Our Middle School building includes spacious science labs, a Collaborative Learning Center, state-of-the-art tech rooms, and plenty of common areas for students to work together. 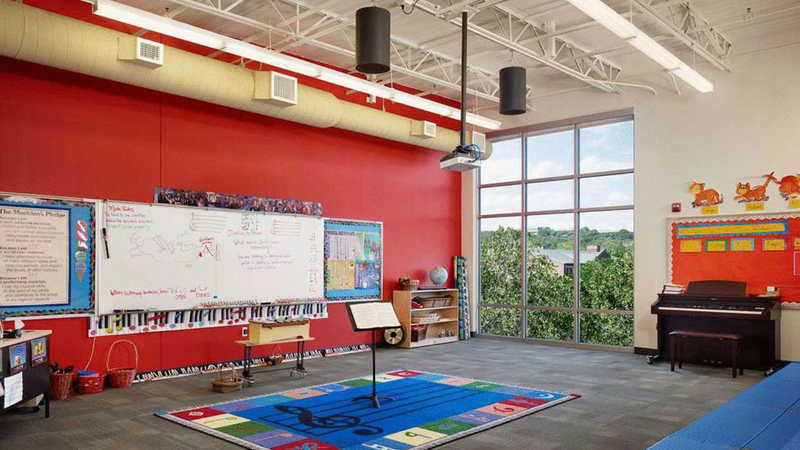 The Trinity Center for Arts & Athletics includes a hardwood floor gymnasium and locker rooms, plus classrooms especially designed for drama, art, and music instruction. Our campus also includes a dining facility, Fellowship Hall, as well as our beautiful Chapel and performing arts theater, Hill Chapel. The campus also features a covered playground, a playing field, outdoor basketball pavilion and a nature trail. 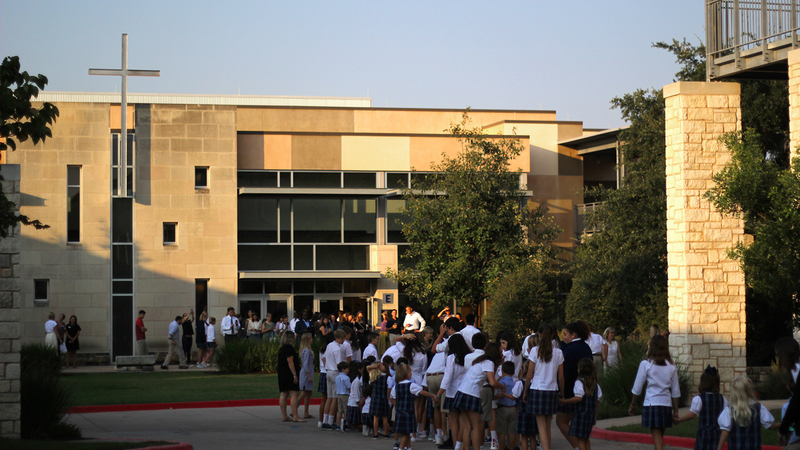 Trinity is also home to one of Austin's largest commercial solar panel installations; 270 panels on the roof of Blue House Hall provide approximately 20% of the school's energy needs. All of Trinity's buildings are outfitted with programmable thermostats and motion-sensing lights to further reduce the school's energy needs.